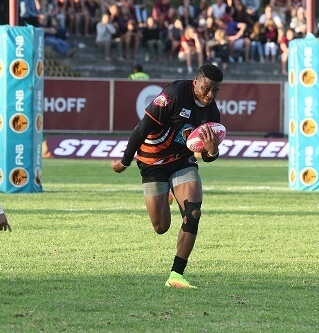 Former University of Johannesburg star and current Springbok player Aphiwe Dyantyi hopes his meteoric rise to stardom will provide inspiration for young rugby players coming through the ranks to follow in his footsteps. The 24-year-old wing shot to prominence this year with a series of stunning performances for the Springboks, culminating in him being named the Breakthrough Player of the Year at the World Rugby awards gala function in Monaco last Sunday. Remarkably, just a few years ago he practically gave up rugby altogether. 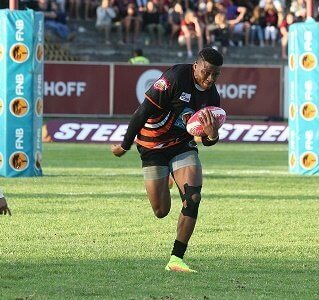 After making his mark with UJ in the Varsity Cup last year, Dyantyi’s career has blossomed. He made his international debut this year and has scored six tries in 13 Tests. The talented player, though, has kept his feet on the ground, knowing that he needs to be an example to others. “I just want to keep on challenging myself to keep on improving and hopefully make a difference for our country,” he said following the award announcement at the weekend. He described his year as “more than a roller-coaster”, a scenario he has been accustomed to dealing with during his career. After starring in the age-group ranks during his schooldays at Dale College in King William’s Town, Dyantyi failed to make the grade in the open division and his interest in the game waned somewhat. His focus turned to academics when he attended UJ in 2012, but thankfully he was spotted by the varsity coaches when helping out in a “koshuis”, or residence, league match. Firm guidance from then UJ U19 coach Mac Masina and first team mentor Werner Janse van Rensburg saw Dyantyi’s interest in the game revived, providing the catalyst for his success at the highest level. Dyantyi has not forgotten those who helped him. “I’ve been truly blessed in so many ways with the people around me who have helped me in the last few years – it’s really amazing,” he said. He said he had always watched other players receiving awards and never thought he would be in line for such an accolade. Dyantyi said he saw some of the challenges during his career as something he needed to embrace. “I see it as a journey for any young player and sport allows you the chance to express yourself. Last month, Dyantyi was honoured at the annual UJ sports awards gala function when he was named the varsity’s Club Sportsperson of the Year.